While there is much to criticize regarding the new tax reform bill just passed, they are mostly due to the fact it does not go far enough. For example, it still plays the leftest class envy card. Still, it represents a giant leap over what existed before. The realities of the new tax reform package seemed to have been lost in the rabid incoherency of the leftest media. Misstatements about it ran the gamut, from economic Armageddon to the oft repeated doublespeak that reducing taxes somehow equates to raising them. Although liberals are well practiced in the art of missdirection, their claims regarding the tax plan are stretches even for them. Called a giveaway to the rich, the leftest megaphones ignores the fact the rich get the least amount of tax relief, a paltry1.1%. For those, like Trump, who live in places with high local and state income taxes, the news is not so good. He, and others like him, will end up paying more in taxes. The paltry tax cut for these folks does not come close to overcoming the limit placed on deductions in high tax jurisdictions. 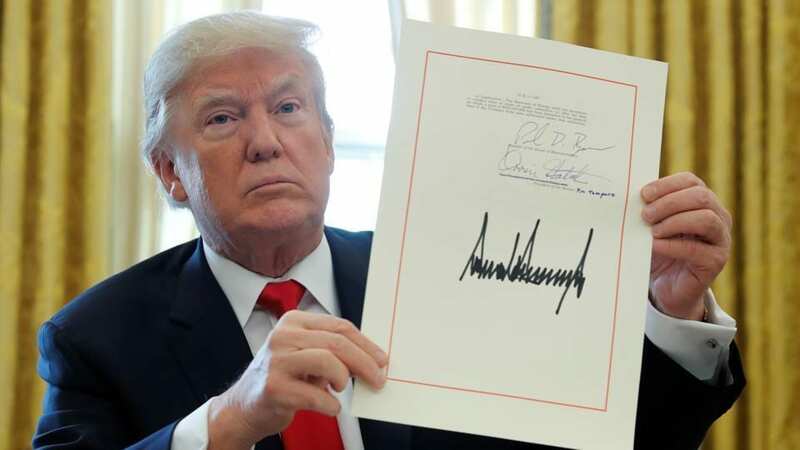 While the news media is no longer claiming Trump is signing a tax cut for himself, they are also refusing to talk about him raising his own taxes. Apparently, news is not their business, propaganda is. Living off the axiom perception is reality, the MSM has been busy trying to create an alternate universe around the tax plan. Why should they change, it appears to work. According to a Wall Street Journal poll, just 17% of Americans think they will get a tax cut under the plan. The reality is 80% will see a reduction. The only real criticism is that these cuts will eventually expire. This is wholly due to Democrats refusal to help muster the 60 votes to make them permanent. Laura Ingram guest Igor Volsky, repeating a Democratic talking point, stated all the corporate tax relief would end up in CEO pockets. On NBC, Savannah Guthrie asked Speaker Ryan if he was “living in a fantasy world” for stating the new law will result in huge new investments into the economy. Savannah and Igor should of been watching NBC affiliate channel CNBC’s twitter feed. If they had, they would of known that a slew of businesses had announced that, due to new tax law, they would be making large investments in both economic growth and their employees. This was just hours after the reform had passed. There is word that a long list of companies, from across the economic spectrum, are following suit. Even more important are the hundreds of thousands of small businesses that will finally feel free to make investments themselves. Across the world, other countries are worried about losing market share to American based companies. Australia has talked publicly its worries, and is considering lowering its corporate taxes in order to stay competitive. The impact of this tax reform for the U.S. could of been even greater, but was tempered by Republicans with liberal leanings. Nonetheless, the tepid bill, combined with lowering regulations, will allow the economy to expand like it hasn’t in years. The revenue coffers of the Unites States will likely also increase. Obamaites, people lined up with the former President, care little for economic advancement unless it comes at the expense of the better off. They are more concerned about economic inequality than economic opportunity. Believing it is better the poor remain poor, than one more dollar end up in a tycoon’s pocket, they abhor anything that is pro economic growth. Misery they can handle, or at least exploit, but prosperity holds little for them. They ignore the fact the gap between rich and poor actually expands under their policies. Short of communist style confiscation, most liberal policies suppress the middle and lower classes more than they hurt the upper. A fact totally lost on social justice mania sufferers. Hopefully the FED will finally go back to a more sane monetary policy, and the new found revenue will not all be spent. The greatest threat to the recovery now is the massive amounts of long sidelined cash starting to flow. Inflation could flow over the economy like a tsunami once the money hoarding turns into a spending spree, but this has always been a danger. At least now, the cash flood will be tempered by real growth. Nonetheless, the tax reform, along with the relaxing of the regulatory burden, should give American’s hope. Something that has been lacking for a long time.